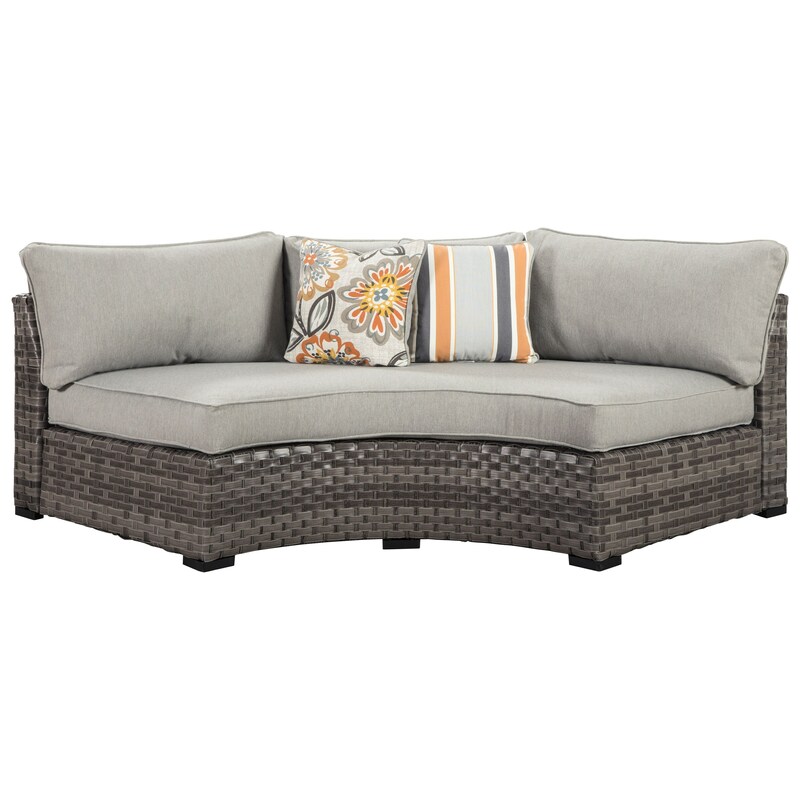 This curved corner loveseat is great for a smaller outdoor space, or it can be added to other sectional pieces to make the perfect configuration for entertaining guests. The rust-proof aluminum frame is covered with an appealing resin wicker look, and the high performance Nuvella™ fabric of the cushions is made to withstand the elements - rain or shine. The Spring Dew Loveseat/Curved Corner Chair with Cushion by Signature Design by Ashley at A1 Furniture & Mattress in the Madison, WI area. Product availability may vary. Contact us for the most current availability on this product. The Spring Dew collection is a great option if you are looking for Contemporary Outdoor Furniture in the Madison, WI area.